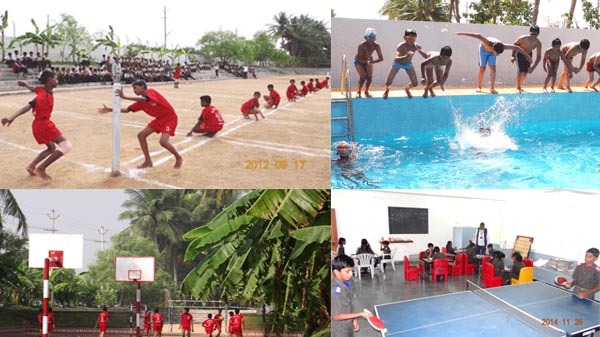 SCHOOL encourages participation in extra curricular activities like sports and other activities. We believe that it is an important dimension of a young child’s education, particularly at secondary school level. Time is spared for sports on a regular basis especially to introduce different games. Here the child is made to understand the basics of the different games. Daily sports or play hour is a compulsory and aims of these are: 1) To improve body and health, 2) To foster an active participation, 3) To provide opportunities to develop and 4) To develop tolerance and sportive spirit. 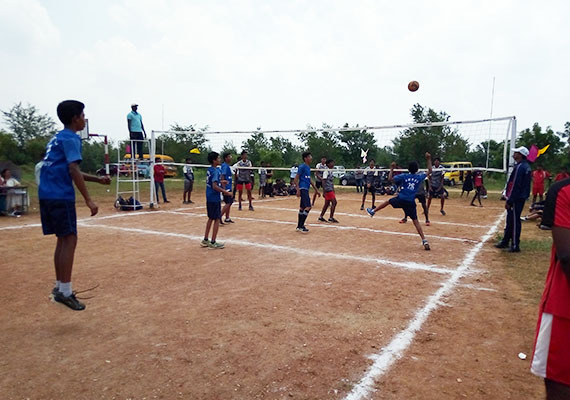 CBSE has conducted Cluster VII Volleyball Tournament in school. The participants were from Telangana and Andhra Pradesh. Totally 142 matches were held for boys and girls. 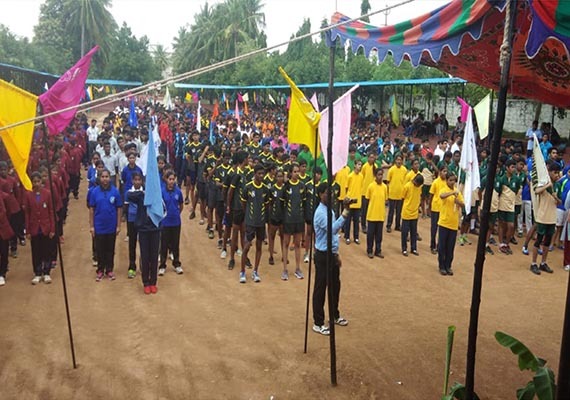 KABADDI TOURNAMENT : CBSE has conducted Cluster VII Kabaddi Tournament for boys and girls in school. The participants were from Telangana and Andhra Pradesh. Totally 112 matches were held. 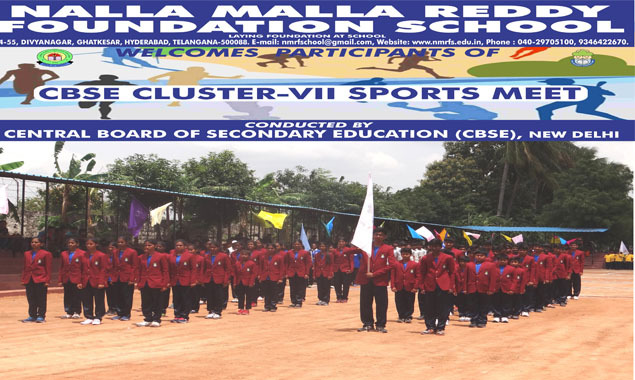 Students are regularly sent for the selections at the state level and national level. Swimming classes are held regularly for the students. Students learn to swim in these classes. Separate classes are held for junior boys, senior boys, junior girls, senior girls. The students attend NCC classes regularly held in the school. The students are made to attend Republic Day selections.